Business Directory Events Calendar Hot Deals Member To Member Deals Marketspace Job Postings Contact Us Weather Join Now! Click any date or event in the scrolling calendar for more details. For the FULL EVENT CALENDAR click here or on Events above. 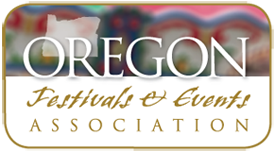 © Copyright 2019 Oregon Festival & Events Association. All Rights Reserved. Site provided by GrowthZone - powered by GrowthZone software.